This year’s event will be Sunday March 25, 2012. 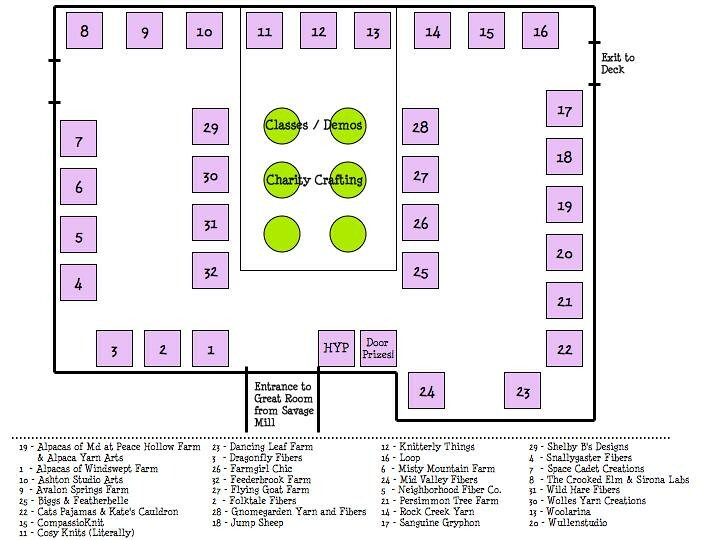 12PM-5PM (set up starts at 11AM) in the Great Room at Savage Mill in Savage, MD. Vendors will be selected via a jury process. 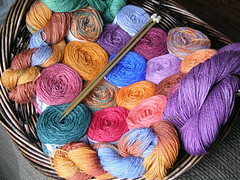 Applicants are applying to sell only their own handcrafted yarns and/or fibers or other crafts, not commercial products. 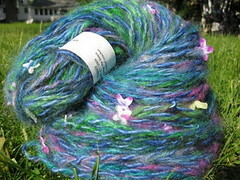 No mass-produced yarns and fibers are allowed for sale. 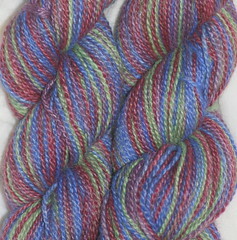 (commercially spun but hand-dyed yarn is okay. fully mass-produced is not.) Preference will be given to local vendors. • Your completed application and photos must be submitted by January 31st to be considered for the show. Email applications and 3 Print quality (each no larger than 1MB) photos that clearly show your product to: yarnparty@gmail.com, with your business name(s) in the Subject Line. • Applicants will be notified by February 14th regarding their vendor status. If accepted, information on the event and instructions on sending payment for the vendor fee will be emailed. • Tables for the Yarn Party will cost $85, to be paid upon acceptance. This year, we'll have an early application discount if you get your application to us by January 20th - $80. Spaces are 6 foot by 6 foot. This includes a rental table (6 foot long) and chairs. Vendors will need to provide their own table linens. • Each year the yarn party has door prizes for attendees, which we collect from all vendors. We feel this helps us point out your table and your wonderful wares, and gets attendees excited about your products. We expect all accepted applicants to help with this effort by donating a prize (such as a yarn skein, fiber, a soap, etc.). • If you want to share a table, please have each person submit an application and photos in one email with both of your names in the Subject line. Tell us about your products in 50 words or less. Feel free to pick from the following questions if you like: Do you have products for knitters/crocheters, spinners, weavers, etc? 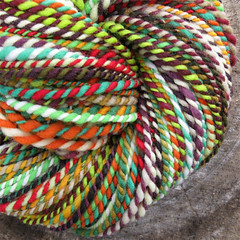 What kinds of fibers or types of yarns do you carry? What do you think makes your product unique? What led you to start your business? What is your favorite part of crafting your product? Tell us about a time when you have seen your product used "in the wild". If you haven't seen your product used, how do you hope people use your product? Tell us where your business is going, where you hope to be in three years. Please email us with questions! Submit your application and 3 photos of your work via email to: yarnparty@gmail.com. Unfortunately, late applications cannot be included. Note that any vendors not selected in the jury process will be placed on a waiting list and will be notified as soon as possible should a space open up. We strive to include as many vendors as possible each year while providing a variety of unique, high quality products, showcasing regional artists. Savage is just north of Laurel - directions are provided on their website here. It's pretty convenient from I-95, right off Rt 32. Once you're at the mill, we'll be in the Great Room. There are maps around once you're in the door, so it shouldn't be hard to find us! Parking is easiest in the west lot - it gets pretty crowded in the closer lots! We encourage people to arrive throughout the day - our vendors will have great stuff all day and we'll be announcing new door prizes every hour. Also, take some time to check out all the great antiques and furniture! There's a used book store, craft and scrapbooking stores, a pottery shop with yarn bowls, the Noni studio, and more to see! If you get hungry, there are plenty of options! Save room for a delicious french pastry at Bonapartes! If the weather is nicer than expected, go for (or send your family on) a walk on the Savage Mill Trail! a natural, vegetarian alternative to Sirona Original, which contains Emu oil. no other thing ever has. There is no failure, there are only experiences that pave your way to success. I design and write knitwear (and occasionally crochet) patterns, and also make stitch markers, row counters, and slighty quirky office accessories like abacus bracelets, badge holders, lanyards, and jewelry suitable for office wear. I am in the process of putting up how-to videos for knitting and crochet techniques, to spread the gift of fiber artistry around. for me there was always great appeal in the meditative qualities of quilting or knitting or crochet. It keeps my hands busy and my whole self engaged in a literally constructive act, which allows my mind to relax, and gives me time to process and mull on the things that have been going on in my world. Everyone is so friendly and supportive of one another. It's quite refreshing to be in a group of people who all appreciate the importance of the work of one's hands, and whose main uniting focus is the love of and delight in beauty and texture and color. perhaps a little bit happier than they would have been otherwise, too. I make patterns so that other people can make physical embodiments of their love for their loved ones to carry around, and the ripples go a little further. I think this makes me a happier person than I would otherwise be, and I think it makes the world a little nicer, which in turn makes my life a little nicer in perhaps unexpected or seemingly unrelated ways. It's okay to reinvent yourself, as many times as you need to. It's scary, but it's worth it. 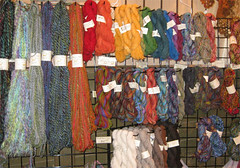 Handspun yarns from local alpaca and wools; handknit accessories including shawls, scarves, neckwarmers, fingerless mitts and hats; angels from unspun wool and knitting patterns and kits. I've been knitting since the age of 8. My elegant, tall, gorgeous aunt taught me. I wanted to be just like her. I achieved the knitting goal, but the didn't make it to 6' tall and thin! Oh well, I love the art of knitting and added spinning about 20 years ago so that I could go from their backs (the animals) to mine. I've met so many people through fibers in the last few years. Through my local knit groups and fiber guilds I've had a chance to share techniques and learn so many new techniques that I did not have access to when I was a solitary knitter for so many years. I've also met many fiber producers and really enjoy learning more about the animals and what it takes to make a good yarn from the farm. I have any fiber producer friends and let them know that as a fiber consurmer I really appreciate the hard work it takes to produce good fiber fleeces. Seven years ago my grandson was diagnosed with Cystic Fibrosis. I had the chance to be his primary daycare provider and daytime caregiver. Since he slept so much, I had the chance to knit furiously and after gifting so much I turned to offering my handknits to public. I donate a portion of the proceeds to Cystic Fibrosis research in honor of my grandson, Noah. (He's doing quite well with all the new respiratory therapies, drug therapies and new preventative regimens that have been developed in the last 15-20 years.) In addition to the CF aspect, I've had the chance to develop patterns and teach both knitting and spinning in the last two years and look forward to more opportunities for these. 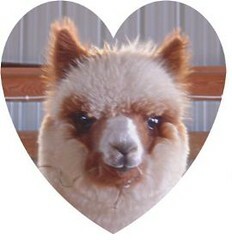 I fell in love with alpaca several years ago when I made friends with a local alpaca producer. She got me involved in a new fiber guild, invited me to help out when they sheared their animals and just generally encouraged me to work with alpaca fiber. Since then I've become involved with the Maryland Alpaca Breeders Association and have made many friends through this group. The educational seminars that groups like this put on are invaluable to fiber artists and I highly recommend and encourage others to make friends with fiber producers of all types. The more you learn about the fiber and how it is produced, the better you understand the fibers and how to create yarn and garments appropriate to those fibers. I spin, dye, knit, crochet, felt and weave... if it involves yarn or fiber I've probably tried it, as I love to experiment, learn new things and combine techniques. 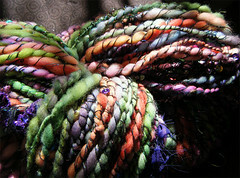 In my booth, you will find handspun art yarns and hand-dyed yarns and fibers for spinning and felting. My great-grandmother taught me to crochet, sew and embroider when I was pre-school age -- I've been making things my entire life. She didn't spin, but had her great-grandmother's flax wheel, and I would play with it, and dream of creating my own yarns from raw wool. I've now been spinning 20 years, focusing on art yarns in the last five. I love the vitality and excitement -- there are so many new people learning and falling in love with knitting, spinning and other fiber arts. The creativity and enthusiasm is intoxicating! What I do and what I make and 'the rest' of my life are like warp and weft -- integrated and vital to one another. I'm a fiber artist and a mother. Having my own business gives me flexibility to be there when my children need me, sets an example of self-reliance for them, and makes me a happier person and therefore better parent. Being able to pursue my passion for fiber arts is a blessing that I am most thankful for. 'Wild Hare' refers to craziness, not bunny hair. It's from an old saying based on male hare's antics to impress the females, and was used to describe someone who does something unexpected or out of character -- I chose it as my shop name to express my creative, no-rules approach to fiber arts. We make alpacas! We breed them for their ultra soft fine warm fleece and have it spun into yarn. 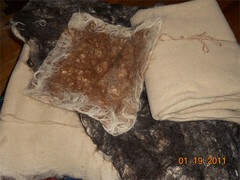 We also have the raw fleeces available for spinning. We started with the alpacas, then after a short lesson, I practiced spinning for two years, and after that learned knitting and crocheting. I'm still very new at both, but am finishing my first feather and fan pattern scarf. Been raising alpacas for over five years. Spinning for two years, and knitting and crocheting for about two months. The wonderful soft yarn from my own animals is so inspiring. I love the natural color, and knowing which animal I am working with is very special.. I'm also inspired by the people in this whole fiber community.. It's as though a whole new group of very kind folks have appeared in my life just when I can really appreciate them. Sometimes the opening of a life path happens in the most subtle way. After falling in love with the farm that we eventually bought, we fell in love with alpacas. That has led us to the most wonderful experiences and life style we could imagine. I'm raising these peaceful loving animals every day and hopefully learning to create things of beauty. Life just keeps giving surprising gifts in abundance. 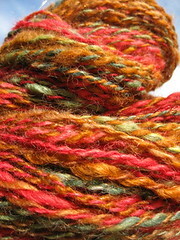 I make several kinds of yarn -- handspun, cottage spun and hand-dyed. 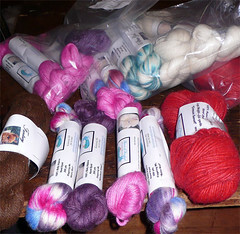 I also make specialty packs of dyed locks, felt and roving. I was an Art teacher for 12 years. My whole life long, I don't think I've ever stopped making stuff. 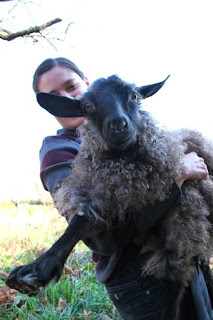 However, more specifically about fiber -- about 15 years ago I got a small group of weathered male angora goats and named them all after different knights of King Arthur's round table. That was the beginning of Avalon Springs Farm, and my love of fiber art, but making yarn and roving is a little more recent. That it really is a community. What a lovely group of people. Between the couple of e-groups like Rav. and Phatfiber, local shows, other fiber farms, and a few loyal customers I really do see a define group. And, it is a warm, inviting, enthusiastic group! I am so happy being a fiber art person. I loved teaching because I loved the vibrant evolving connection to the kids. But, now - I feel so fulfilled making and creating directly myself. 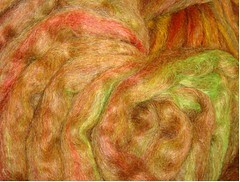 Working with color and texture, the fiber is my canvass, nothing is better! This show comes just on the heels of a very exciting time on our farm -- kidding season! This was a super year. Everyone arrived happy healthy and full of life. We've had nine baby goats born so far, and one set of triplets (kind of unusual for Angoras). My family loves to watch them play, lovingly hold them, and name them - we never tire of it; its really a blast. Hand-dyed sock yarns, sterling silver and semi-precious stone stitch markers. 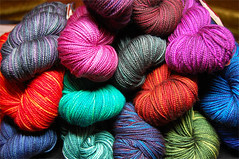 I have always done it for myself, I went into business when I retired and started dying sock yarn to keep myself in interesting sock yarns, but kept selling it to my friends before I could knit it up! I am always so pleased at the generosity of the local fiber community. The community keeps our "Knitting Behind Bars" program at the Men's prison in Jessup in yarn and knitting needles. They come through whenever we are in need of supplies. They also have come through with over 3,000 books, including a full law library for the inmates. It blows me away! We teach our guys to "pay it forward" when it comes to knitting. We use what the knitting community is doing for them as an example! First, making what I want stirs my creativity. But I also listen to my customers. They let me know what colors they are dreaming about, and I love to come up with the yarns to paint their dreams. Then , I love the serenity knitting brings to my life. My friend Lynn and I take that love of knitting and the resulting serenity, to teach self control, sharing and creativity to the inmates we teach in our program. After a year and a half we still get a great deal of satisfaction from this program. Do what you love, love what you do!. I knit, therefore, I rock! 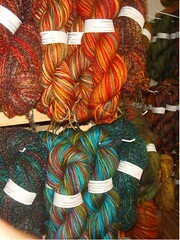 Noni is located in the Savage Mill, Carding Studio 108: one flight up from bonaparte bakery and down the hall. 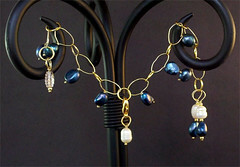 I am in the studio Monday through Friday from about 10 am until 5pm. My studio doubles as a little shop and gallery of Noni, but it is a working studio, so some days I’ve got the latest project spread out all over the teaching table, and some days it looks more boutique-ish. There is always something interesting to look at: I have the full line of Noni patterns on display. Any bags and garments that are not out visiting other yarn stores are on display as well, some come and browse the samples, patterns, and yarn. 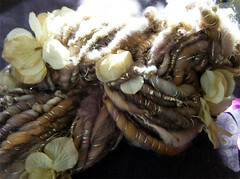 I specialize in felting yarn and the supplies to make the bags: stiffener, bag feet, closures. I carry my own pattern line and Stonehedge Fiber Mill’s Shepherd’s Wool, the entire palette, plus Tilli Tomas Flurres, as well as an assortment of other felting yarns. 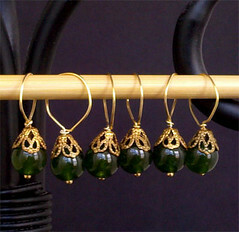 My studio has been open for a little over a year, but Noni has been in business 6 years this August 19, 2011. My shop is specialized, obviously, with a focus mainly on offering patterns and supplies for felted bags, flowers, and accessories. I love to teach and am in the process of developing an education program for the studio. That’s my favorite part. . . And I like meeting people from all different parts of the country who get excited about felting. To contact us via email, use customerservice@knittinguniverse.com for any questions. You can find XRX, Inc. in Sioux Falls, South Dakota during the office hours of 9AM to 5PM Central Time. 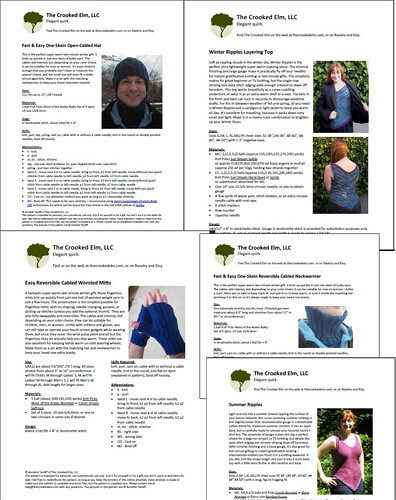 We offer a magazine that appeals to all knitters who want timeless garments along with beautiful books and conferences full of classes and a market to shop. The events at our conferences include a market for shopping, an opening day speaker with a "meet the teachers" luncheon following, classes of different intensities, a fashion show with dinner, a student banquet for "show and telling" to share, and finally a "little" pajama party thrown by Kimberly (aka, Some Bunny's Love). XRX, Inc. has been in business close to 30 years -- 28 to be exact. It all started when the family's weaving shop decided to publish their own newsletter. A couple of years later, Knitter's Magazine was born! We love how knitters can come together in order to help. The genuine solidarity in their kindness is a great example of how people of different backgrounds and beliefs can still work alongside for a purpose. 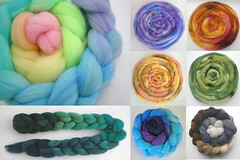 Hand spun / hand dyes artisan Yarns and Roving from Sheltand Sheep, Alpacas and BFL crosses. Fibers are home grown or from local producers. We also offer fiber CSA memberships and educational oportunities. In 1996 the tenants on the farm left and forgot to take their cats and sheep. So we decided to keep the flock and the felines. We knew absolutely nothing about livestock, farming or fiber, but we learned fast. A few years past and the bags of fleeces began to build up, so as a joke I asked my family for a spinning wheel for Christmas. Well they did not think that I was joking. That was 15 years ago and the rest is history. The folks that I have met thought the fiber community have been such an inspiration. Everything I do revolves completely around the animals and fiber.... my family can attest to that. There are some days the house is a wash of fiber from the kitchen and livingroom to the porch and even the ceiling. Most days we get it put away before my husband walks in the door. Although there are other days (especially during lambing) he is wondering where the sound of the newborn lamb is coming from. Farming happens rain or shine and you might as well have a smile on your face even when the sheep escape and the pig has made a bed out of 10 bales of your best alfalfa. 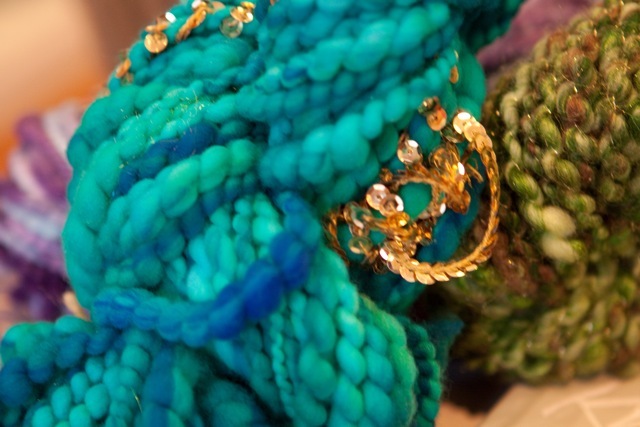 Nine days of shopping bliss and fab discounts at the DC metro area’s finest yarn shops! Receive 20% off at all participating shops and be entered for a $100 prize! Join our “crawl” around the beltway by purchasing a tote at any one of the participating shops. Totes are available on or after March 15th. The crawl is from April 9-17, 2011. How do I participate in the crawl? Join the Metro Area Yarn Crawl by purchasing the MYC tote – available at any of the participating shops for $13. This canvas tote is your ticket for discounts at all participating shops! Show your tote at any participating shop from April 9-17, 2011 and receive 20% off your entire purchase of full priced yarn, fibre, books and patterns. You may use your tote as often as you like during these nine days. *This discount may not be combined with any other discount. *Please note the shop hours of each store. Some shops are not open on Sundays. The Yarn Spot is not open on Saturdays. How do I get entered for one of the prize drawings? Collect stamps on your “metro card” (given to you with your tote). Each shop that you visit will provide one stamp. Get 7 of the 10 stamps and you can then enter to win a drawing at the shop of your choice! Each prize is valued at $100. You may enter at any participating shop and are then eligible for the drawing at that particular shop. 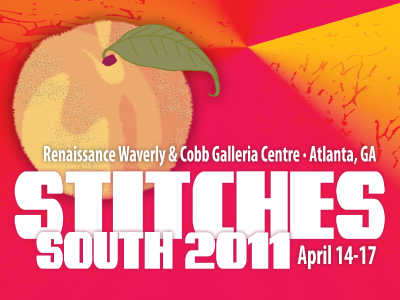 For more info, including a list of participating shops, please visit the Metro Yarn Crawl website! My best friend taught me to knit after college and opened up the whole world of crafting to me. I love how rich and diverse it is. There are so many people in DC/MD/VA area who are being creative and making stuff! It's really a great source of inspiration for me. Being the only non-lawyer in my immediate family, I tend to always feel a bit different. Doing something that I love, making yarn, helps me feel free to bask in my difference. Also, it's nice to have a job where I can have tattoos and funny hair! My business has moved from DC to MD to OH and now back to MD. I'm in Baltimore now and I finally feel like I'm somewhere permanent. Always been a chronic crafter. My sister taught me to knit maybe 10 years ago, and I slid down the slippery slope into fiber arts soon after. I love it so much and am sort of panicked if I don't have something yarny or crafty going at all times. I love the festivals and the friendliness of the fiber people. It is a very generous community. I love sharing the love of fibery pursuits with people. Especially teaching kids to knit. Hmmn, well many of life's mysteries can be solved with a little Pee-Wee Herman. As he so sagely said--"The mind plays tricks on you. You play tricks back! It's like you're unraveling a big cable-knit sweater that someone keeps knitting and knitting and knitting and knitting and knitting and knitting..." That quote can help explain the unexplainable in a pinch. 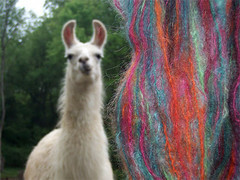 Group name: Nature's Yarns, Inc.
Local fibers (alpaca and wools) and roving, Blue Ridge yarns, our own hand dyed yarns (Reflections), and tons more. We'll special order wheels and looms but usually don't have them in the store. We've been in business 3 and a half years. We really enjoy all of the fiber arts and LOVE working with others that share our interests and/or want to dive into fiber. Meeting the people and touching the yarn! Over the years, I've professional crafted in a number of media. I started with pottery, then gradually shifted to stained glass which I designed and sold for at least a decade. 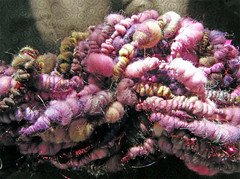 For the past few years I've been playing with fibers---something I had been wanting to do for years. 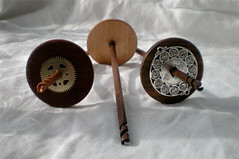 Right now I spin (and sometimes re-spin, in the case of reclaimed yarns) and make wooden spindles. I'm especially fond of spindles with spiral tips that really seem to help maintain an even spin. I love the wood I'm using for my spindles and hate to waste any of it. 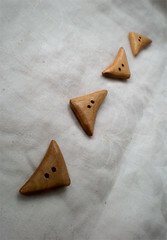 I've alos been using the scraps to make shawl pins and buttons when the mood stikes me. I've always loved making things. I was an anthropology and archaeology student and still find that I have a need to know, hands on, how and why people do what they do. Tools and craft are such a big part of that. I love looking at form and function, that place where culture, spirit and art collides with neccessity and work. Those I've met are just big hearted, creative and just wacky enough to keep things interesting. Craft is sometimes, just something I have to do to keep my sanity. Things going on around me may influence the colors and designs that inspire me at any given moment. I am currently being seduced by the palette of a halved avacado, for example, although I've yet to figure out what I'm ging to do with this vision (other than make guacamole). Kate's Cauldron is an odd name for a spindlemaker. I can't seem to abandon my original business name that I've been using since I first started making pottery. The photo in my logo is a hand built Goddess/fertility pot made over twenty years ago and the only largish pot I kept for myself. Nowadays I use it to hold my spindles, so I guess it belongs after all. 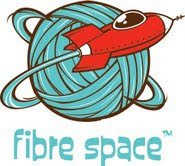 We have been in business since July 2009.
the fibre space shop grew out of Knit-a-Gogo, Inc., which was opened in October of 2006 to provide knitting classes, parties and events at coffee shops and bakeries in the DC metro area. Danielle Romanetti was the sole teacher and operator of the business until 2008. In August of 2008, the business expanded to six additional teachers and three new locations. The Knit-a-Gogo following grew and eventually demanded a permanent home. In July 2009, Knit-a-Gogo expanded into fibre space, a new retail store space with a classroom and events space. I love being inspired by my customer’s creativity. Every day, someone points out a new great pattern that they found or puts together two colors that I would never have thought of putting together. I really have the greatest job in the world. 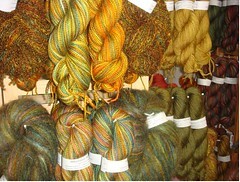 Lots of yarn, including Noro, Rowan, Schaefer, Neighborhood Fiber Co., Abstract Fibers, Berroco, and many others. We also have a good selection of books and individual patterns. We have Sit and Stitch twice a week, on Wednesday evenings and Thursday afternoons, and Sit and Spin on the fourth Friday evening of the month. Our complete class schedule can be found on our website. Take Rt. 50 into Nothern Virginia approximately 8 miles to Graham Rd. Loehman's Plaza shopping center. Go to the 3rd floor of "7-11 building" in the middle of the center. Go to Northern Virginia. Exit onto Rt. 50 East. Proceed just under a mile to Graham Rd. (4th traffic light after the Beltway) and turn right. Make the first right turn into Loehman's Plaza shopping center. Go to the 3rd floor of "7-11 building" in the middle of the center. 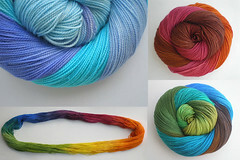 We offer a wonderful selection of high quality yarns, exquisite fibers, an extensive library of books and patterns, implements, unique gifts and accessories. 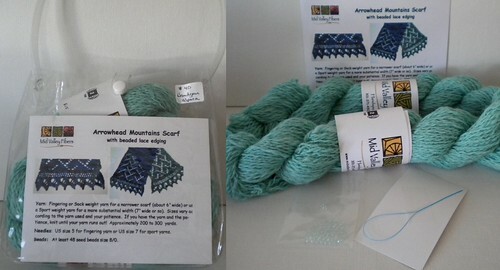 I love the creations of Blue Ridge Yarns and are very interested in finding more local dyers. I would be very interested in promoting and applauding the new talents coming into our industry. Above all, at Aylin’s Woolgatherer we offer to share our ideas, expertise and enthusiasm in the art of knitting and crocheting with all other enthusiasts near and far. I started Aylin’s Woolgatherer 36 years ago, on the 2nd of January in 1975. A good friend Mrs. Wynn Gnam, who owned The Woolgatherer downtown, urged me to open up my own shop. At the time, I had a little girl and I was most concerned with participating fully in her early development. With the encouragement and guidance from my friend, owning my own business seemed like a natural choice. I have never regretted it, even for one day. My favorite thing about owning a yarn store is the opportunity it gives me to combine my lifelong love and interest in the textile crafts with my love of working with and being around people. It allowed me to find, develop and nurture a community of like-minded people who really became a second family to me. I have always been blessed because the hard work it takes to run a business never felt like “work” to me. 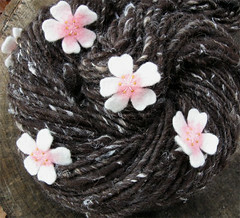 I make handspun yarn from sustainable fibers, mainly local small farm wool and fiber recycled from large spinning mills. I'm trying to make my entire process more sustainable now that I have my own small farm - I've been experimenting with solar dyeing, and am in the process of switching over to low impact dyes. 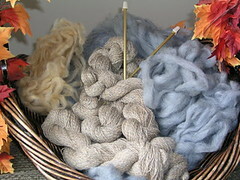 I buy most of my local wool as raw fleeces and wash, dye, card, and spin them myself. 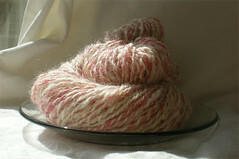 This year I will have a few yarns spun from my own pygora goats fiber available, for the first time ever! I can't ever remember not making stuff, even when it was just badly constructed doll clothing! My mom was really crafty and artsy, so probably picked up a lot from her. It's hard to pick one thing, but I think my favorite thing would be everyone's generosity. I've never met a more welcoming bunch of people! I think each craft sort of leads to another for me - I started out sewing and crocheting. 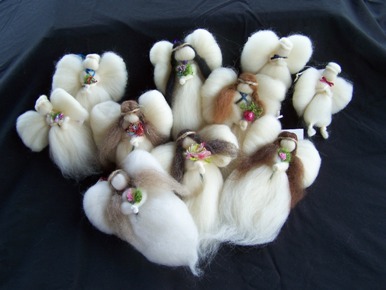 I learned to knit in high school, then got really obsessed with spinning, and then I ended up getting very interested in the animals the fiber comes from. Now I have my own mini herd! This past year, I discovered that I really, really love goats. My business isn't just a fiber business anymore, I'm now starting a small farm/homestead and will be expanding into raising animals and growing herbs and vegetables. 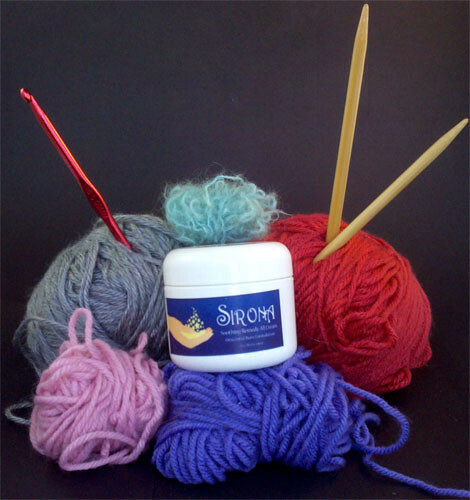 Do you have products for knitters/crocheters, spinners, weavers, etc? Handwarmer Kits: Try working with laceweight yarn with my handwarmer kits-- hand-dyed alpaca yarn in sport or worsted weight with matching laceweight for ruffles, dyed at the same time, for knitters, The laceweight is dyed with the sport weight or worsted weight, so it matches exactly. Knitting patterns: Another style of handwarmer, and a hat with vertical stripes created by knitting horizontal stripes using three methods in the same hat with earflaps, peruvian style. Felt: I've had alpaca fleece made into sheets of luscious felt for seamstresses that will make beautiful jackets, vests, slippers, lap-robes and other items, even one piece of llama felt that would be a lovely soft, springy rug to put your feet onto in the morning. Felted soap: Don't miss my thinly felted soap (the bubbles come right through). 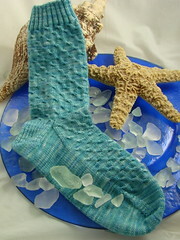 The soap is handmade in Maryland, and covered with dyed alpaca fleece raised in Maryland. 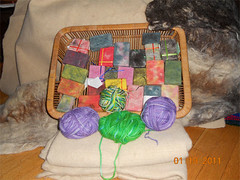 I also have some unscented soap, felted with undyed alpaca fleece. 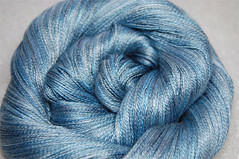 We carry many standard yarns, as well as Alchemy, Schaefer Yarns, Blue Heron Yarn, Three Irish Girls, Rock Creek Yarn, and will be adding Dragonfly Fibers soon. We also carry Kromski spinning and weaving equipment, Schacht spinning and weaving equipment as well as a good range of fiber for spinning and a small selection of cone yarns for weaving. 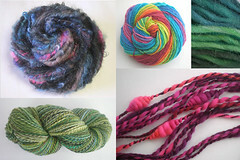 Our Ravelry group is Yarns International. We are an online store only. Our office hours are Tuesday through Friday, 10 a.m. to 4 p.m.
We carry only Shetland yarns which we import directly from the Shetland Islands. These include 2-ply jumper weight in both undyed natural colors and dyed colors; lace weight yarns, both gossamer (cobweb) and 2-ply, in five natural colors. 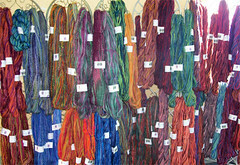 We have a wide variety of patterns using all of our yarns. We had a brick and mortar store in Bethesda for 12 years, from 1994 through 2006, when we went online only. What we loved about our store, and what we miss most, is the community of knitters that were centered in our store. We stay in contact with many of our customers through our online business and at Sheep and Wool Festivals in Maryland and in New York. We also hold “live” events in Bethesda several times each year.